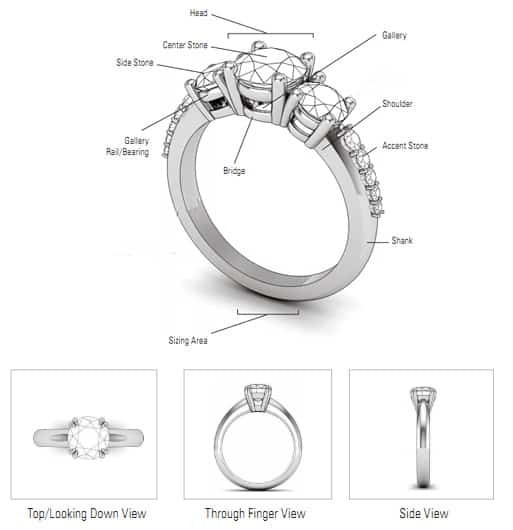 To understand ring settings and what goes into making your ring whether it be and engagement ring, or wedding band. 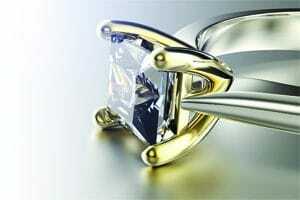 Here you will find all the information that does into making your engagement ring. 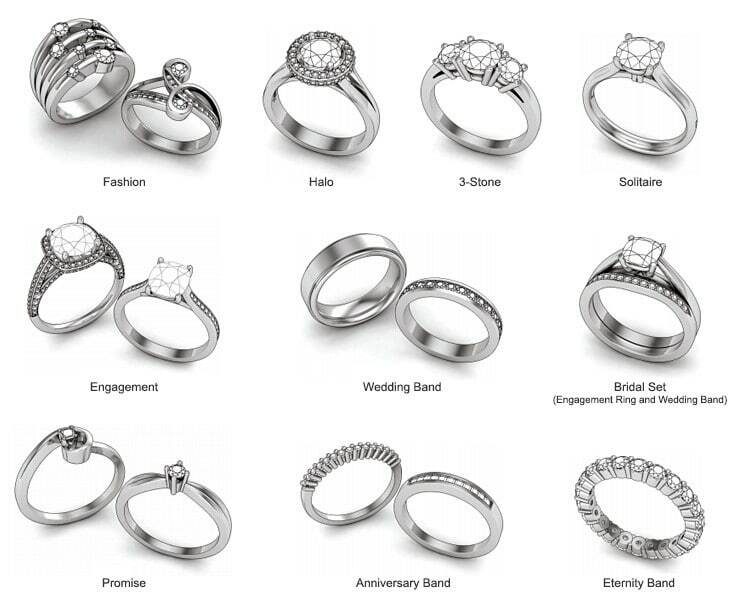 We consider all the above when making your engagement ring. 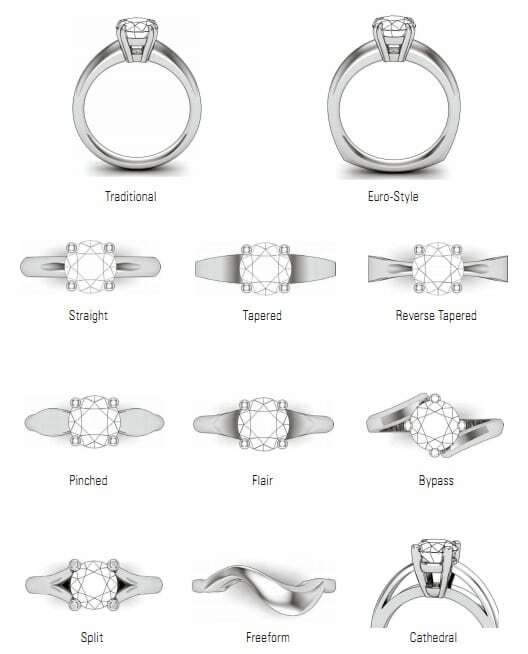 From the size of the diamonds to your finger size all have to be considered when designing and making your ring. We always take everything into consideration and will advise you how best to achieve your desired ring. 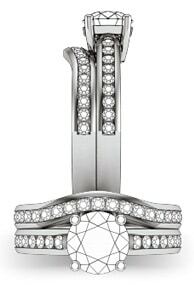 You have a number of style options for you ring that you could consider when it comes to your engagement ring. With a wedding band we design and make it to your own requirements. Considering you are going to be wearing it for the rest of your life, you not only want it to look stylish, you want it to be as comfortable as possible. The wedding band is masterfully crafted to shadow the engagement ring. The band is customized so that it perfectly sits next to engagement ring so that no gap can be seen. 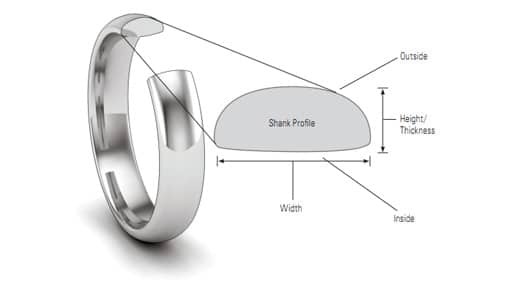 Depending on the engagement ring setting we try to follow the contours to get the flowing line. A straight wedding band is designed to complement and sit next to the engagement ring. The advantage of a straight wedding band is it can be worn independently from the engagement ring. 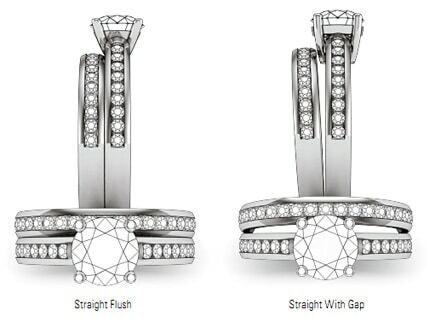 A straight band can fit flush against the engagement ring, if the engagement ring has a center setting that prevents the band from sitting flush, a gap can be seen between the ring and band.